The Uniform takes great pride in crafting the perfect shirt for men. As a staple in the men’s corporate wardrobe getting the right fit and range of shirts in your wardrobe is paramount. 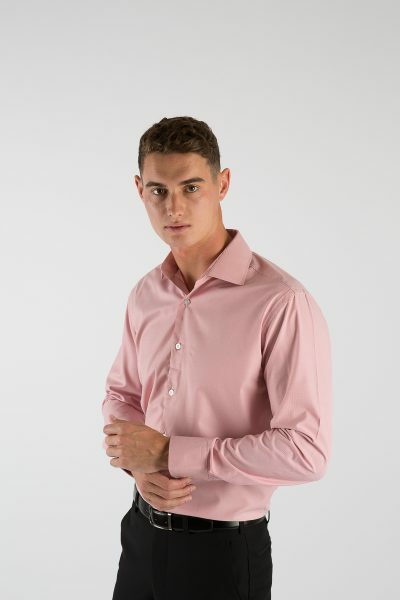 Our shirt range consists of either 100% cotton and easy-care cotton/polyester blends. With over 90 fabrics in stock and another 2,000 accessible from our fabric mills, it’s impossible not to find what you are looking. Our men’s range consists of a tailored fit along with a relaxed fit. Buttons are reinforced with cross button stitching, collars are well fused, and french seams ensure durability and quality. The option of long, short and roll up tab sleeve is available as well pockets, epaulettes and many more customisable features.